Although some fall sports are still going, it is officially time for the girls basketball season to begin. 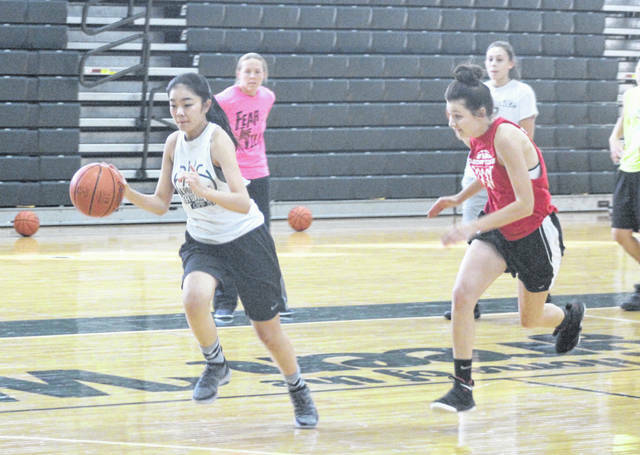 Last Friday was the first official day girls basketball teams around the state could begin practice and many teams took advantage. The Greenville girls basketball team was in the gym working hard on Tuesday for its upcoming season. The Lady Wave will open their season in just a few weeks by hosting the Annie Oakley Shoot Out on Nov. 23-24 with Bradford, Eaton and Ponitz CTC coming to the GHS gym. Boys basketball teams can officially begin practice this Friday, Nov. 2.